MnO nano-particles were prepared from manganese oxide ore by thermal plasma technique. The size, structure and composition of feed manganese ore and synthesized MnO particles were characterized by XRD, FESEM, XPS, FTIR and Raman spectroscopic techniques, and results were reported. The naturally occurring manganese oxide ore, constituting of manganese minerals like cryptomelane and pyrolusite with subordinate iron [hematite] and aluminous mineral [gibbsite], was collected from Bonai-Keonjhar belt, Odisha, eastern India, and processed in a plasma reactor under oxygen atmosphere. Nano-particles were obtained within a very short period of 10 min. These were mostly globular, rarely cubic and hexagonal in shape and varied in sizes between 10 and 100 nm. The nano-particles constituted only of manganosite (MnO) mineral. Such MnO nano-particles had large numbers of potential uses in the field of electrode materials in different rechargeable batteries, biosensors, pharmaceutical industries, piezoelectric crystals, fuel cell electrodes, catalysis and in specific biogenic and bioscience applications. The authors are grateful to Prof. B. K. Mishra, Director, CSIR-Institute of Minerals and Materials Technology (IMMT), Bhubaneswar, Odisha, for providing infrastructural facilities. 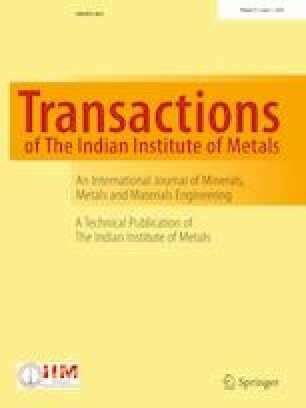 The authors are thankful to Mrs. Swagatika Mohanty and Mrs. Geetikamayee Padhi, officials of IMMT, for carrying out FTIR, XRD and FESEM analyses. Thanks are due to Mr. Tapan kumar Dash for carrying out XPS analysis.